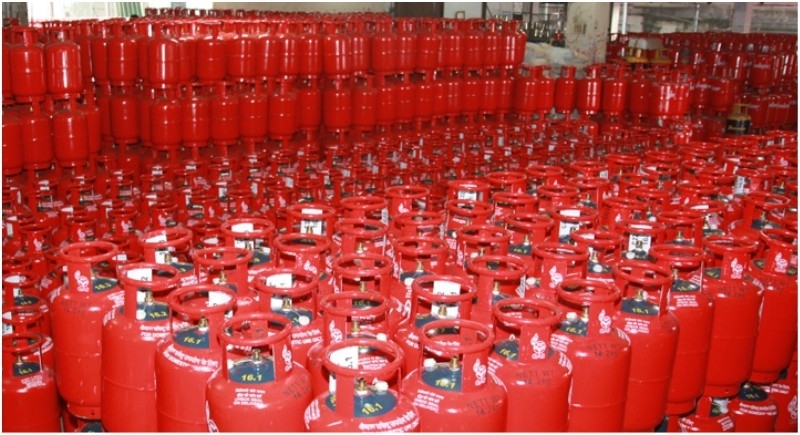 New Delhi, February 1: New month has brought a gift of cheaper Domestic cooking gas (LPG) cylinders as it’s price was cut by Rs 1.46 per cylinder on Thursday, the third straight reduction in a month's time due to tax impact on the reduced market rate of the fuel. A 14.2-kg subsidised LPG cylinder will now cost Rs 493.53 in the national capital from midnight of Thursday as against Rs 494.99 currently, Indian Oil Corp (IOC), the country's largest fuel retailer, said in a statement. This is the third straight monthly reduction in LPG rate. On December 1, subsidised LPG price was cut by Rs 6.52 per bottle and by Rs 5.91 on January 1. IOC said non-subsidised or market priced LPG rates have been cut by a Rs 30 per cylinder "due to fall in price of LPG in international market and strengthening of US dollar-rupee exchange rate". The reduction comes on the back of a steep Rs 120.50 cut on January 1 and Rs 133 on December 1 last year. All LPG consumers buy the fuel at market price. The government, however, subsidises 12 cylinders of 14.2-kg each per households in a year by providing the subsidy amount directly in bank accounts of users.